According to the National Highway Traffic Association, an auto accident occurs in the U.S. every minute of every day. It’s illegal in all 50 states – as well as Puerto Rico and the District of Columbia – to drive with an 0.08 Blood Alcohol Content (BAC). A study from the Governors Highway Safety Association (GHSA) confirms that the number of drivers impaired by drugs – illegal and over the counter medicines – now outnumber drunk drivers. Examples include talking or texting on phone, eating and drinking, talking with other people in the vehicle, adjusting stereo or navigation system, etc. This form of aggressive driving is involved in about one-third of all vehicle fatalities. These types of accidents most frequently occur between midnight and 6 a.m., and during late afternoon hours. Interestingly, even though they carry less than half of U.S. traffic, rural roads account for over half of the nation’s traffic fatalities. Of the more than 32,000 traffic fatalities in 2014, 16,710 motorists lost their lives on rural roads (51%). During that same year (2014) here in Alaska, 42 of the 73 total traffic fatalities occurred on rural roads. According to highway safety officials, it’s not only the roads themselves that are causing the danger. Rather, it’s how human behavior changes when we’re on the roads less traveled. Other reasons for more casualties on rural roads include needed help often being farther away in times of emergency, fewer safety features like guard rails and longer time needed for clearing roads during extreme weather. Still, there are some problems with the actual roads. For example, some experts point to designs and layouts of rural roads that are often outdated. These can make driving errors that are normally more manageable on urban roads absolutely deadly on rural highways. Also, the lanes on rural roads are more narrow and trees and ditches are much closer than they would be on an interstate. Who’s to blame in a car accident? The Vehicle Code of Alaska, which provides all of the state’s rules and regulations regarding traffic safety. Insurance companies will generally – after a claim has been filed – assign an adjuster to oversee the settlement of the claim. They’ll analyze reports about the accident itself, interview witnesses, and examine medical records and vehicle damage estimates. When all is said and done, the adjuster will typically assign blame to one driver or even a percentage of fault to each driver involved. If your case goes to court, a jury – usually consisting of 12 members, but can be less – will determine who is at fault after examining the evidence and listening to testimony. How many car accidents happen in a year? As noted above, the National Highway Traffic Association confirms an auto accident occurring in the U.S. every minute of every day. Perhaps even more alarming is the fact that the rate of traffic fatalities has soared. In fact, the U.S Department of Transportation tells us that deaths from auto accidents across the nation have jumped by an estimated 10.4% during the first half of 2016. They confirmed that 17,775 people lost their lives on the roads during the first half of 2016. Over the same stretch the previous year, there were 16,100 deaths. Here in Alaska, the news gets worse. Information released by the Alaska Department of Transportation and Public Facilities, traffic fatalities here have jumped almost 34% since last year. Officials also pointed to the ongoing increase of drivers using smartphones and other technology. While those factors are certainly in play here in Alaska, an additional contributor may be the DOT losing 22% of its budget (about $60 million) since last year. That reduction has meant less manpower for road crews and some roads being prioritized over others for snow removal. Other factors include an increase in crashes with drivers not wearing seat belts and speeding. What happens if I’m in a car accident with no insurance? If you do not have insurance and the accident is deemed to be your fault, you will likely be sued for any damages or injuries sustained as a result of the accident. If you’re in an accident that’s not your fault and the other driver doesn’t have insurance, you’ll most likely have to rely in part upon your own insurance company to help cover costs. You’ll need Uninsured Motorist Coverage to do this. Even if your own insurance company covers the associated costs from an accident with an uninsured driver, you can still file a lawsuit against the driver. Why sue after a car accident? Even if you go through the usual processes with insurance companies whose main goal is to settle the case for as little as possible, you still may not recover all the money to cover possible medical bills, lost wages, and other expenses. Here in Alaska, you have two years from the date of the accident to file. With that in mind, it’s definitely in your best interest to talk with a lawyer as quickly as possible after the accident. What happens when a car accident case goes to court? First off, it’s rare for a car accident case to make its way to a courtroom. Statistically speaking, only about 5% of them are actually settled in a courtroom. As for the other 95%, while they may have a court date on the docket, most are usually settled well before a trial actually begins. Mediation (a neutral third party assists both sides in reaching a mutually agreeable solution). During this first stage, potential members of the jury will be asked a series of questions to determine if they have any prejudice that could potentially keep them from an impartial decision. Most juries consist of 12 members, but that number can be less in some cases. Lawyers for both sides – plaintiff (the one bringing the case to trial) and defendant – will make their opening statements. The plaintiff’s lawyer will go first in presenting evidence to back their claims. After all plaintiff’s witness and evidence has been presented, the defendant’s lawyer will then follow the same guidelines. Just as the opening statements kicked off the trial with both lawyers telling the jury and judge what to expect, both sides’ closing arguments summarize the case based upon the evidence and statements which were presented. The jury moves to a room where members can discuss their thoughts and vote on a verdict in confidence. While some jury deliberations can last for days at a time, it’s not unusual for members to reach a verdict in car accident cases within a few hours. After the jury has reached a decision, the judge will be notified and the jury will be brought back into the courtroom for the reading of the verdict. The word “settlement” is a term used to describe a formal ending to a legal dispute without the involvement of a jury’s verdict or judge’s ruling. In most cases, the settlement comes in the form of a certain amount of money offered by the defendant in exchange for the plaintiff’s agreement to release the defendant from any liability. There’s no etched-in-stone rule on when settlement proposals can be offered. They can happen late in the process of the lawsuit itself or even before a lawsuit is filed. Perhaps the most difficult aspect of the option to settle is the negotiation process. The reasons vary, but oftentimes what the defendant feels is appropriate compensation is vastly different to what the plaintiff (you) thinks is appropriate. While the ultimate decision on whether or not to settle is up to you – the client – your lawyer knows the tendencies of juries and how the legal system typically plays out. Because of that, their advice on whether or not to settle should be valued. Remember, your lawyer will go through any every aspect of the settlement details to make sure your best interests are served. How are car accident settlements calculated? 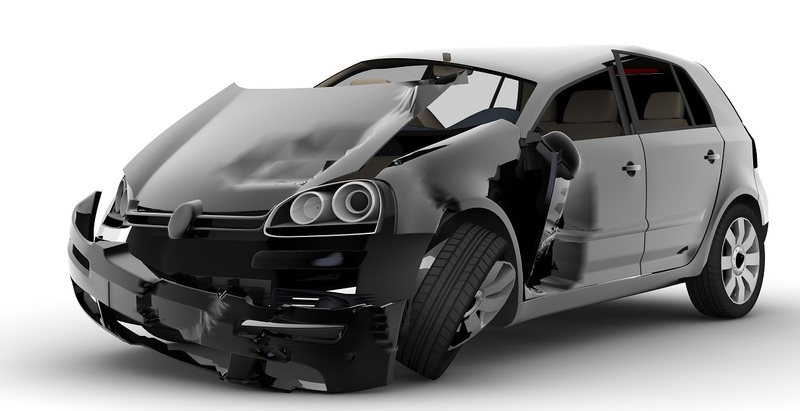 If the only damage sustained in the accident is damage to your vehicle, the repair costs or replacement of your vehicle will generally be the only items covered in the proposed settlement. If, however, you experienced physical injuries, you’ll receive additional funds to cover them. To determine how much, the insurance company will typically total your lost wages and medical bills combined with the extent of your injuries. Current and future pain and suffering: Discomfort felt from the time of the accident, through medical treatment and for the foreseeable future. In most cases involving soft tissue injuries (sprains, muscle tears, nerve damage, whiplash, etc. ), medical bills are multiplied by 3. Medical bills for broken bones or damaged disks are normally multiplied by 5. Costs for treating permanent injuries that greatly alter your lifestyle (traumatic brain injury, paralysis, etc.) will be multiplied at a much higher rate. Again, the insurance company will most likely make a low-ball offer shortly after the accident. If you accept their offer, you can probably have your funds in just a few weeks. With all of that in mind, it generally takes a few months after you reach maximum medical improvement – which is the point where your condition can’t be improved any further. Are car accident settlements tax free? Before the legislation was changed in 1996, practically all personal injury settlements and jury awards were ruled to be non-taxable – meaning you didn’t have to pay taxes on what you were given or awarded. Changes were made in 1996 to Section 104 of the U.S. tax code that placed limits on which types of injuries would receive the tax-free status: actual physical injuries or physical sickness. In short, this means that as long as a physical injury resulted in you being compensated for lost wages, medical bills, pain & suffering, loss of consortium, emotional distress, lawyer fees, etc., your award or settlement will not be taxable. As for the physical sickness qualifier, if, for example, you had been exposed to a virus by someone’s negligence and you became sick, the damages you’re awarded are tax-free. In essence, the clock starts ticking on your suit the moment it’s filed. If you win a jury award or agree to a settlement, interest may be added to the monies for the full time your case has been running. If your suit is based upon emotional distress but there is no physical injury, the monies you’re awarded will be taxable.